Home/Bariatric Lifestyle/Post-Op/Which Vitamins Should I Take After Weight Loss Surgery? Weight loss surgery is a major event in any patient’s weight-loss journey, and it is often seen as a new beginning. WLS patients look forward to having a new body, a new diet and a new outlook on life! It is a big change, but surprisingly many Bariatric patients aren’t aware of what is actually required of them after surgery. Not too long ago, our BariMelts team received a call from a Bariatric patient who said she was planning to have a weight loss procedure done in the coming months. Although her surgery date was far in the future, she was very eager to get everything she would need once her WLS was complete. This particular patient already knew she would be on a special diet post-op. She also knew that she needed to take additional supplements. However, she wasn’t quite sure what surgery she was going to have yet and was hoping to get the correct vitamins in advance. But did you know that type of Bariatric vitamins you should take after surgery actually vary by procedure? The type of weight loss procedure you have will decide what your diet will be for the rest of your life, and that includes the type and amount of supplemental vitamins you will need. It is important to know exactly which vitamins are right for you based on your type of weight loss surgery so your new body gets the right amount of nutrients. No matter which procedure you have, it is essential for bariatric surgery patients to have their vitamin and mineral levels checked regularly after surgery. Always keep in mind that after going through WLS, your body needs special care. That includes eating the right healthy foods, exercising regularly and taking your supplemental vitamins every day. Good aftercare and moderate lifestyle changes can give wonderful long-term results for health and weight! 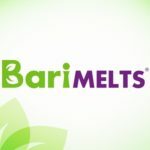 Join the #WeAreBariMelts Challenge for your chance to win a FREE 90-Day supply of Bariatric supplements from BariMelts!